Watsons is my ultimate place to be if I want superbly affordable skin care products. 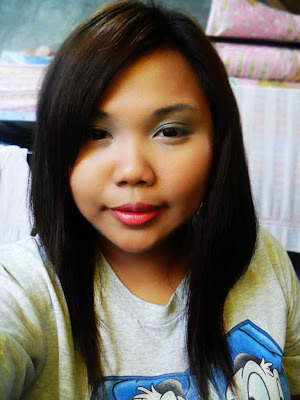 The first time I got hooked into doing makeup, I bought my local branded makeup at Watsons. Yes, they come cheap but because they are at Watsons so you need not to worry about damaging your skin especially your face. 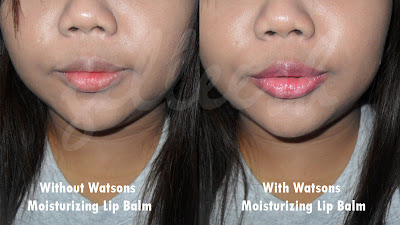 At my last visit at Watsons, I got myself the Watson Moisturizing Lip Balm in Sweet Strawberry. 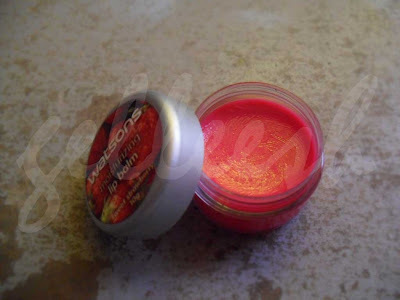 Honestly, it’s quite hard to find a colorless lip balm (unless it’s Chap Stick) these days because people would want to save up on lipstick so they combined it all in one. I actually have no problem with this product. Maybe just only the fact that I hope it did come with a little lip balm brush so I won’t have to dab my little fat pinky finger on it. Haha!